Julie Rathbun and John Spencer have a poster a this week's Lunar and Planetary Sciences Conference entitled, "Io Eclipse Observations: Does Loki Dominate Io's Infrared Flux?" Rathbun has published a few papers over the last few years on the episodic brightening experienced at Loki and what these brightenings might tell us about the Loki's eruption style. 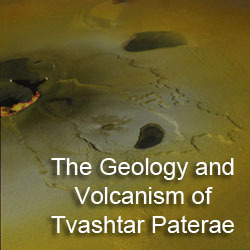 The conclusion she reached in her 2006 paper "Loki, Io: New ground-based observations and a model describing the change from periodic overturn" is that Loki Patera is a periodically overturning lava lake. According to the model presented in that paper, the surface of the Loki lava lake founders when it has cooled and thickened to the point that is negatively buoyant compared to the lava below. The time between this episodic overturning of the lava lake crust varies depending on the amount of vesicles (basically gas bubbles) within the lava crust. Essentially, the more vesicles within the lava crust, the less dense it becomes, and thus the longer it takes since the last brightening before the crust overturns again. As I mentioned in a previous blog post, Rathbun's overturning lava lake model isn't the only one published to explain Loki's behavior. 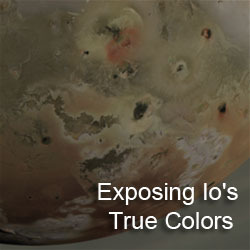 This attention focused on Loki is the result of its apparent dominance of Io's thermal flux. Rathbun and Spencer examine data taken by NASA's Infrared Telescope Facility atop Mauna Kea in Hawaii to see if Loki does in fact dominate Io's thermal flux when it is observed in eclipse. When researchers observe Io at this facility, they observe it when Io is in eclipse so they can separate flux from reflected sunlight and thermal flux from the satellite's volcanoes. If they observe Io during an occultation just as it is going behind Jupiter, or just egresses from behind Jupiter (depending on when it is in eclipse), they can measure the moon's thermal flux as it more or less of the satellite is hidden behind Jupiter. This method can help pinpoint the location of hotspots on Io's surface. 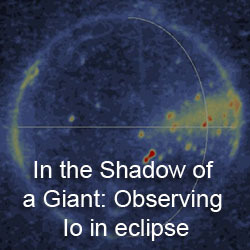 Measurements were also taken of Io's full-disk while the satellite was in eclipse. Such measurements were performed at more wavelengths but their low resolution makes it difficult to pinpoint the location of individual hotspots. Using a model Rathbun et al. developed in 2006, the authors predict Loki's brightness at 2.2 and 4.8 micron based on the volcano's brightness at 3.5 microns and the duration of the eruption episode. They determined that the 2.2 microns brightness is a close match, but they assumed that the entire thermal flux from Io at 2.2 microns came from Loki. 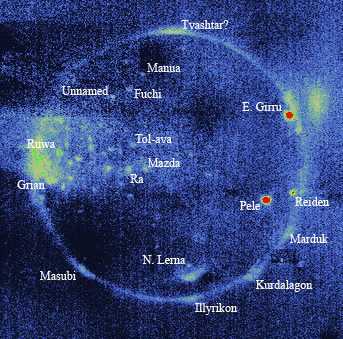 The authors indicate that they will look at the occultation data to determine the percentage of the flux from other volcanic eruptions in order to see just how much Loki dominates Io's thermal flux. Hiya, just reading this becaise I am doin' a project on Io.